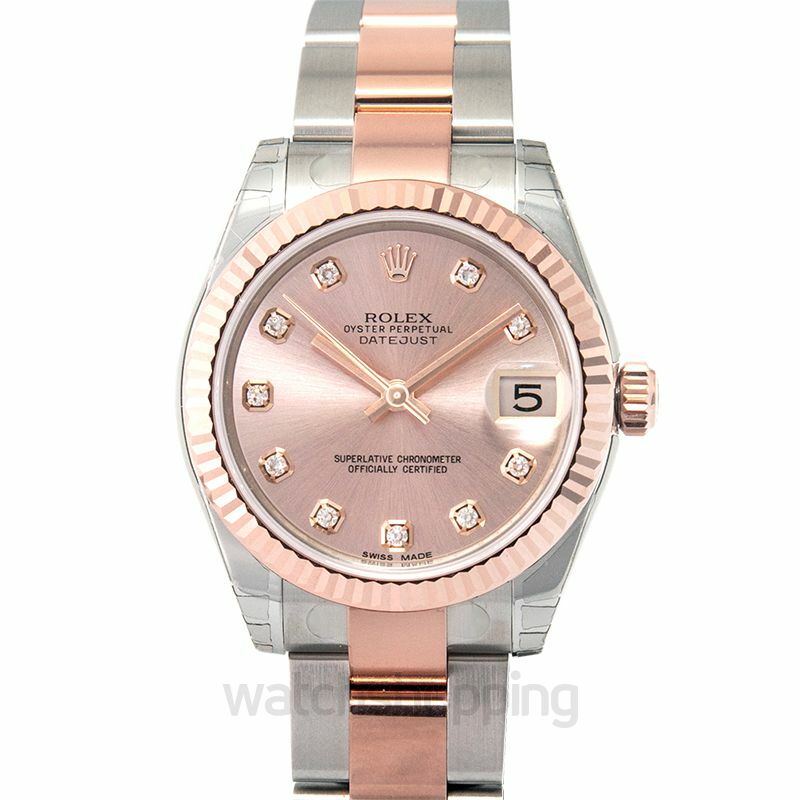 A piece fit for a lady; the Datejust 178271-0045G by Rolex features a delightful pink dial and is embedded with diamonds which prove to be the perfect pairing for the dial. 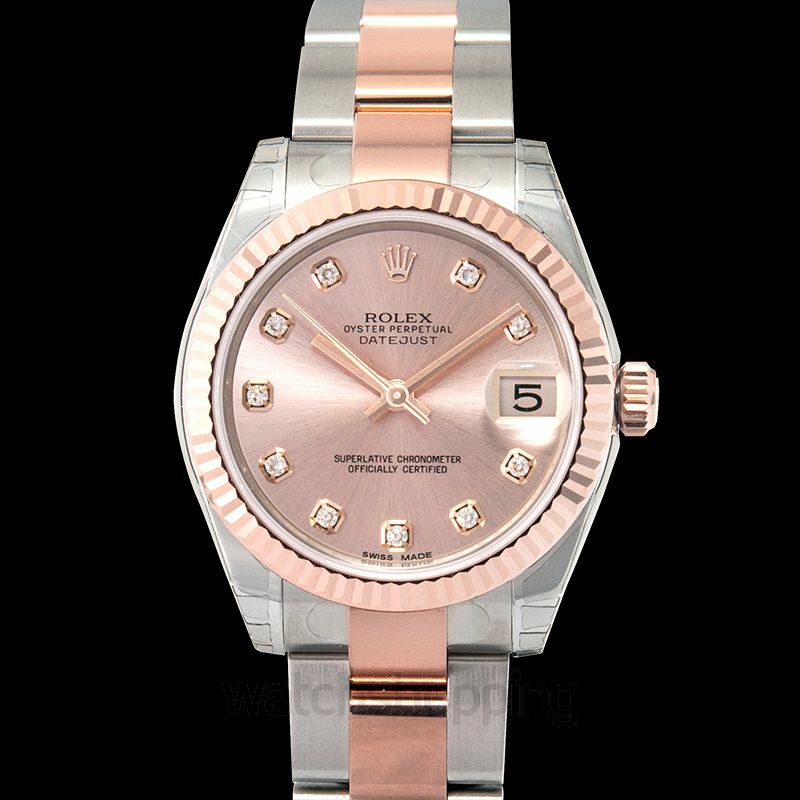 The hands of the watch are rose gold; similar to the bezel that also has a fluted design crafted with much detail, adding elegance to the watch. 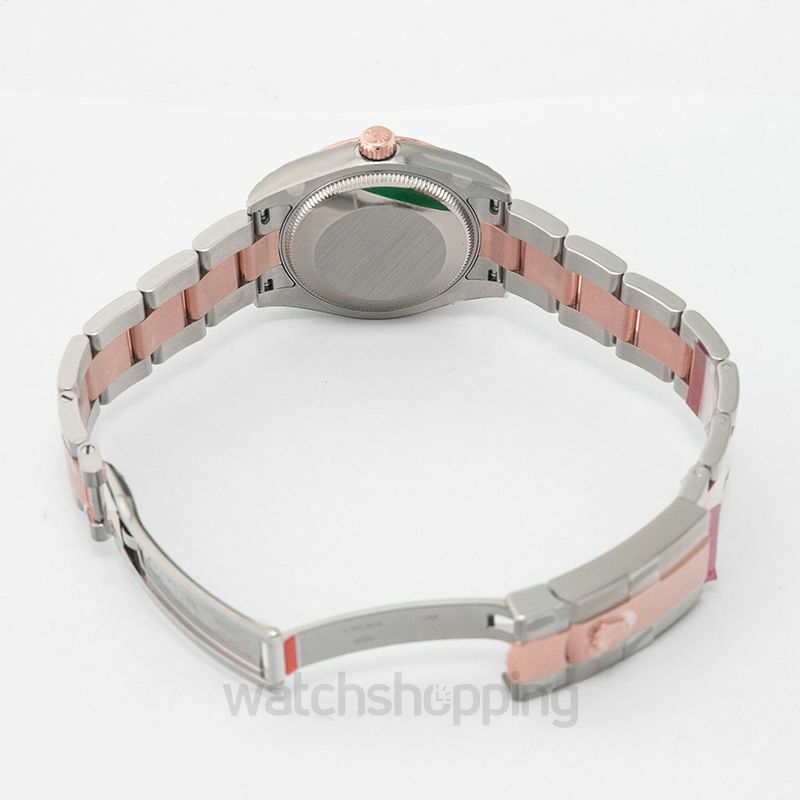 The watch is powered by a mechanical self-winding movement and has a power reserve of 48 hours.